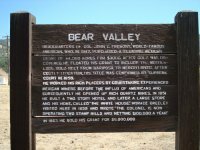 First called Johnsonville, Bear Valley had a population of 3,000, including Chinese, Cornish, and Mexicans. During 1850-60 when John C. Fremont's Ride Tree and Josephine Mines were producing, Fremont's elegant hotel, Oso House, was built with lumber brought around the horn. It no longer stands. 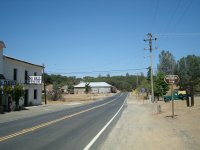 After a fire in 1888, structures were rebuilt. 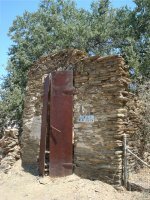 Some still standing are Bon Toon Saloon, Trabucco Store, Odd Fellows Hall, school house, and remains of jail.